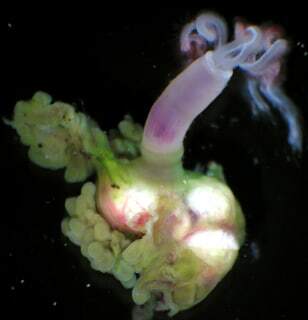 This female worm, from the newly designated species Osedax frankpressi, has been dissected in the whale bone. The green tissue is where bacteria are found, and part of it has been torn, exposing the white ovary. A reddish "palp" captures oxygen for the worms and the bacteria.